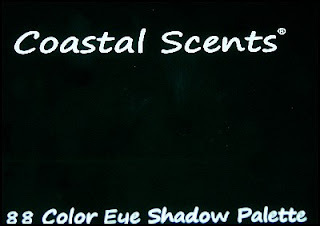 Review: Coastal Scents 88 Matte Palette + Contour Palette - Cherry Colors - Cosmetics Heaven! Finally, it arrived! Okay, this is a week later, but the happiness is still here. I ordered both 88 palettes (matte and shimmer), but for now, only the matte arrived (got it from a site that did pre-orders). It has a new design (for all those who got it a while ago - now it has some text on the cover!). It almost feels.. well fancy. I must say that I have heard some terrible things on this palette. Like that the small applicators don't go back into the holder, after you take them off, or that the eye shadows texture is terrible, and so on.. Well I don't have such terrible experience with it. And because of some morbid curiosity, I had to try and take off the sponge applicators.. And they did go back in. With a little of practice they DID go back into the holders. Texture: Compared to the older version, some eye shadows do feel more silk-like, but otherwise I had no problems with the texture at all. 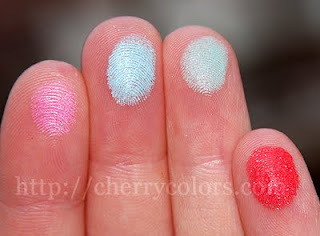 Pigmentation: The pigmentation is just plain awesome! Just one swipe of the colors and the result is the following picture! Colors: There are lots of colors to chose from. Some of them are true matte, some of them have a bit of gentle shimmer. Nothing too noticeable tho, and they apply in a silky smooth finish. Pros: + The price (on their site it's 19$). 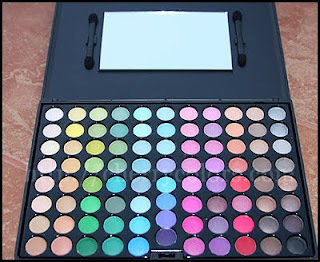 + The size - those palettes will last you long, long time! + The colors (so many of them). - The outside of the palette gets dirty really easily. It's matte, so yeah, fingerprints do it no justice (it's just screaming for a CSI scene!). - It can get a bit of messy when you're swiping the brush around.. but it's nothing too terrific! I love it. A cheap palette that is perfect for anyone! I'm not sure why some people only suggest it to newbies with make up. I think it has a lot of potential. 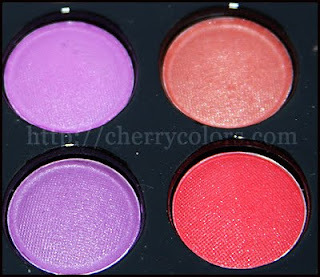 I mean it's cheap, it's really well pigmented and it's easy to work with. I have this baby for almost a year now (okay a couple of months less). I'm not using it every single day, because I'm damn lazy, and because I don't need all that definition in my normal life. I use it on photo shots, and maybe the days when I want more definition. 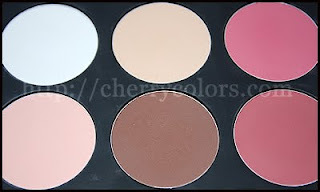 As you can see it's made of a contour palette, two lighter tones, one white shadow for highlights and two blushers. The pans are huge. The size of a bigger face cream jar. The contour shadow works really well for me. I have fair skin, with pink undertone and I think it could work with most skin tones. I use it under my cheek bone, for more definition. The white shadow is the second one, that I use the most. I put it just a little bit further up that I put my blusher. I sometimes put it under my eye circles, if they are too visible. The two light shadows could probably work as a regular powder. Hmm, I think I'll try to use them that way. The blushers are really nice. 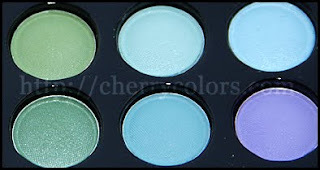 They are quite pigmented and since I usually take lots of powder with my brushes, I have to fix that, most of the times. - The container gets dirty really easily. I'm not sure if I'd buy this palette again. I mean it DOES work for me really well, it's just.. that it's big. I need to buy some nice cases to put those in. 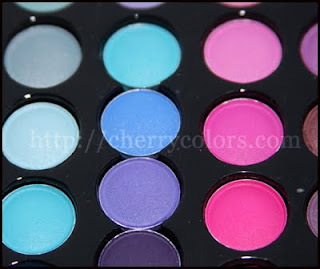 When I'll have them and carrying of this palette will be easier, then I think I could love it. It's not an every day palette for me. Nope.